Computer parts failing or not working properly? Is your once perfectly fine desktop computer constantly crashing, freezing or not turning on anymore? Desktop repair can be one of the most frustrating and time consuming repairs, but don’t panic! We are here to help you. 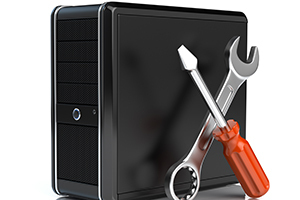 From fixing damaged memory modules, replacing a hard drive or your computer’s motherboard, we have the tools and expertise to help get your desktop computer back up and running.